Massimo Cavalletti is a natural talent; the 38 year-old baritone just sang his 100th Met performance of Puccini’s La bohème, the opera he made his Met debut in only six years ago. 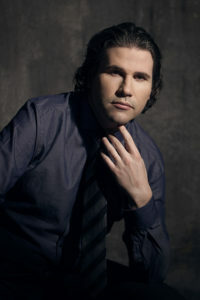 It’s hard to believe that Cavalletti’s first experience with opera occurred when he 20 years old. 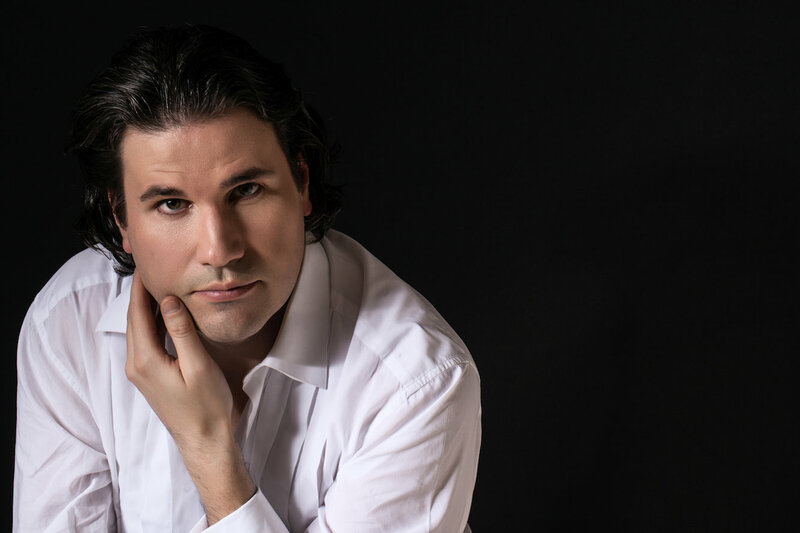 Within a decade of his first stage performance ever, Massimo Cavalletti has sung in the great opera houses of the world, including the Metropolitan Opera and La Scala. He has proven himself time and time again a masterful interpreter of the great Italian composers Puccini, Donizetti, and Verdi. Cavalletti was gracious enough to sit down with Opera Sense and answer a few of our questions. What is your earliest opera memory? When did you know you wanted to pursue a career as an opera singer? My first opera memory dates back to 1998; at the time I would have never imagined I’d be singing opera. A dear friend asked me to try some “arie antiche” (antique arias) from the Italian art song repertoire, and I – together with a dear old lady named Maria Alessi Lucchesi who unfortunately is no longer with us – organized a concert in which I sang Tosti’s songs and “Vecchia zimarra”. It was May 1998 and my very first experience on stage. One year later I decided I was going to study seriously: in June 1999 my love of voice and opera became the center of my life and still is! Your Met debut was in 2010 when you played Schaunard in La bohème. Now you’re returning to the Met and performing the same opera but as a different character, Marcello. How are the two roles different? Does one feel more natural to your voice? I had the opportunity to make my Met debut when I was very young, and this was possible only by accepting the role of Schaunard. That was the only way I could get my foot in the door of such an important opera house. I had already sung Marcello many times when I did Schaunard at the Met, but I was still singing it at La Scala. It’s a role I have found rewarding if sung with care: he has an aria in the first act as well as a nice scene in the fourth act, he is always on stage and gives many possibilities to give your own interpretation. I do prefer Marcello because it’s a much more complete and interesting character: he is a trusted friend, an ardent lover and always ready to put himself on the line! He is also vocally gratifying, particularly in the third and fourth acts, not to mention that he offers plenty of opportunities to show one’s acting skills in the by-plays during Musetta’s waltz. I find it is an excellent role for me, and the fact that I am reaching my 100th performance with this run at the Met proves my point. If you could only play Schaunard or Marcello for the rest of your life, which one would you choose? In any case I would choose Marcello, though I’d love to alternate roles with an esteemed colleague during a run of performances. It would be very funny and interesting! I noticed that you’ve sung a lot of Donizetti, Puccini, and Verdi, but I didn’t see any Mozart. Are you planning on adding Giovanni or Mozart’s Figaro (I saw Rossini’s on there) to your list in the future? I would love so much to sing Mozart, but unfortunately nowadays opera is heavily compartmentalized, and who sings Mozart sings more or less only Mozart and that type of repertoire. It is frequently entrusted to Germanophone singers, and in any case Italians are not often engaged to sing Mozart, particularly outside Italy. I have already studied the whole role of the Count in Le nozze di Figaro and most of Don Giovanni, and hopefully soon an artistic director will offer me one of these roles. La Bohème is one of the most performed operas in the repertory, and you’ve performed in it 100 times! How do you bring something new to a performance of a work that is so popular and you know so well? A lot depends on the cast and the conductor in a particular production. I always try to bring something new, perhaps by interacting with my colleagues in a different and constructive way, perhaps offering a stronger or more romantically involved Marcello, changing some nuances and trying to keep the same personality throughout the opera. A lot depends on the production itself; for instance, in Turin, in Àlex Ollé’s beautiful mise en scène [the arrangements of scenery], it was easy to bring something new because the sets were quite innovative and we found many new and deeper aspects. But also here at the Met with Piotr [Beczala] and Kristine [Opolais], with whom I have often worked in the past, we definitely are on the same wavelength, which allows us to give life to true and genuine characters. What’s more important for an inspired opera performance: preparation or spontaneity? They must go hand-in-hand. Undoubtedly preparation is fundamental, singers must know their roles to perfection, they must be able to sing them in a variety of performing possibilities; however, it is also necessary to have the sensitivity that allows you to react to whatever the others may bring on stage each time. Every performance is different: there is always something new and one must be very quick to understand and react! What’s the most interesting aspect of Marcello as a character? I think his best aspect is his boundless love for life and friendship; he is a sensitive and spontaneous man, a perfect best friend and lover, a man who is able to put everyone at ease and inspire trust. Opera Sense is committed to helping new operagoers understand why the art form is so spectacular. What advice would you give to novice operagoers attending La bohème? Is there anything specific they should watch for or listen for? Just last night at the second performance at the Met there were so many youngsters at their very first operatic experience: I do believe that La bohème is perfect as a first approach to opera, perhaps just as much as L’elisir d’amore (Donizetti) or Il barbiere di Siviglia (Rossini). It is important to carefully choose the title, then their teachers or parents should explain the opera to them with no spoilers, and then all they have to do is attend and follow the performance! I think the new generations are smarter and more open-minded than the older ones: they immediately grasp the meaning of everything they see and hear. One doesn’t need to work too hard, as they are already predisposed to love opera, as long as they attend shows such as La bohème, or non-traditional productions that reflect the true meaning of the story. In this way, success is assured. Last night the rest of the cast and I had our pictures taken with these young people after the performance, which was wonderful! Where else can people see you perform this season? I’ll sing Ford in Falstaff (Verdi) at La Scala next January and February, and Rodrigo in Don Carlo (Verdi) at the Maggio Musicale Fiorentino [an annual arts festival in Florence], both conducted by Maestro Zubin Mehta; I’ll make my debut as Gianni Schicchi (Puccini) in Amsterdam in November 2017 and will sing Ford with La Scala on tour in Kazakhstan. These are my principal engagements for 2017.